Since 1979, R.V. Carey’s has been providing expert water heater services to families and businesses in Alexandria, VA and throughout the Maryland, Virginia, and Washington, DC area. Whether you need water heater installation, repair, replacement, or service, you can count on the licensed, certified Maryland plumbers at R.V. Carey’s to have your job finished on-time and on-budget. If you’re having problems with your water heater, or you need to install or replace a system, call R.V. Carey’s today! If you need water heater service in Alexandria, VA, don’t wait—call R.V. Carey’s today at 301-424-8899 or click here! The most important day in the life of your water heater is the first day it’s installed—the quality of installation will affect how your unit operates for as long as you have it. So if you want to get the most reliable performance out of your water heater, make sure you call R.V. Carey’s! Our skilled technicians work carefully on every job to ensure your water heater will last for years to come. Gas water heaters – gas water heaters use a gas burner and a thermostat to heat water in a storage tank. Gas water heaters are the most consistent and have lower fuel costs than other water heaters, but they tend to have high up-front costs. Electric water heaters – electric water heaters have some of the lowest upfront costs of any water heaters, but since they work through electrical resistance, monthly costs can get high. Tankless water heaters – some of the most efficient water heaters you can buy, tankless water heaters heat water on demand so there’s no cost for maintaining heat in a large volume of water during periods of low usage. Whatever size, make, or model you choose, the expert water heater installers at R.V. Carey’s can have your new water heater up and running in no time! If you’ve had any of these problems, contact R.V. Carey’s today! Most water heaters have a lifespan of about 12 – 15 years, after which point you may experience sharp drops in efficiency or find yourself needing more and more frequent water heater repairs. If your water heater is getting older and you’re starting to have problems with it, it might be time to consider water heater replacement! When it comes to water heater maintenance and service, you want to be taken care of as quickly as possible. So call R.V. Carey’s! Our expert water heater technicians can take care of your water heater installation, repair, or replacement job so your home can get back to business as usual! Why call R.V. Carey’s for water heater services in Alexandria, VA? When you call for a plumber, you’re looking for more than plumbing services – you want the peace of mind that comes from knowing the plumber you hired is trustworthy and polite. In addition to being background checked and drug tested, all of the technicians at R.V. 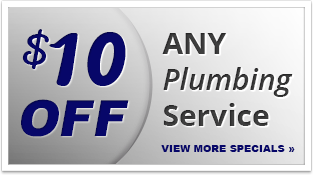 Carey’s are friendly and courteous and can answer any questions you may have regarding your plumbing system. Many plumbers charge a flat rate for each job, regardless of how long it takes. We prefer to charge based on time and materials—here’s why. First, no two plumbing jobs are the same. Even a seemingly simple leak repair can vastly differ from another leak repair! Since a job may take longer for one person than another, a flat fee may lead you to overpay for your service. Next, we feel we can provide a better service by encouraging our technicians to work carefully instead of rushing between jobs. By charging time and materials, we’re able to ensure that you get the highest quality of service possible while still sticking to your budget. All plumbers are well trained and educated to provide customers with honest and respectful support. There is a senior citizens discount available. For water heater service in Alexandria, VA, call 301-424-8899 or click here!